We’re well into the depths of winter now here in Ontario. Cold and flu season is in full swing. I spent the last several weeks fighting and just recently finally getting over a stubborn cold myself, so communicable winter illnesses like these have been on my mind. How do you stay healthy when everyone is sniffling and coughing their way through January? Will we ever come up with a cure for the flu or the common cold? Today I thought it would be amusing to talk about books that approach these questions from a wide variety of perspectives. My list begins with one of the most common ways that germs enter a body, explores what happens when an epidemic occurs, and ends with the one of the greatest medical discoveries of all time. Three of these books are non-fiction, and four of them are fiction. 5. 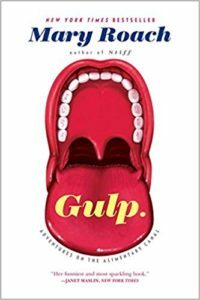 Gulp: Adventures on the Alimentary Canal by Mary Roach. One of the most common ways to catch a cold, the flu, or other diseases is to touch your face after you’ve touched someone or something that is carrying those germs. That virus then travels from your eyes, nose, or mouth into your body and begins replicating. While this book spends most of its time talking how the digestive tract works in general, it also discusses the body’s defences against germs and how someone’s diet can affect their chances of getting sick. I was simultaneously fascinated and also a little grossed out by the author’s descriptions of how all of these things work. 1. 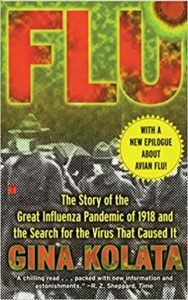 Flu: The Story of the Great Influenza Pandemic of 1918 and the Search for the Virus that Caused It by Gina Kolata. Imagine how terrifying it must have been for our ancestors to watch their loved ones die from this strain of the flu or from the secondary infections they developed as a result of it. Normally, influenza kills people who are very young, very old, or who have underlying health conditions. It must have been even more frightening to see so many young, healthy adults succumb to it. Antibiotics and life support machines didn’t exist in 1918, so there was little the hospitals could do in general to help patients who had severe reactions to this virus. People either recovered or they didn’t. All the doctors and nurses could do was watch and wait. What I enjoyed the most about this book was how much detail it went into why this strain of the flu was so deadly, how it disrupted the daily schedules of the people who encountered it, and why it faded away. 2. The Stand by Stephen King. 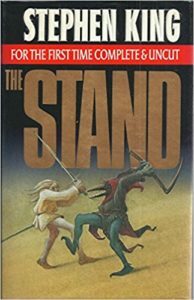 The Stand was the first story I ever read about a virulent strain of influenza accidentally being released and killing off 99.4% of all humans. It ignited my interest in this genre. While the plot soon veered off in other directions, the first few chapters went into great detail about why the U.S. army weaponized this virus to be so deadly in the first place, how it ended up being introduced into the general population, and what happened once people began dying in droves. 3. 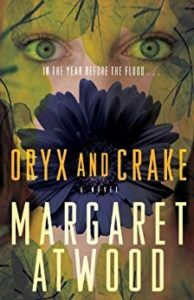 Oryx and Crake by Margaret Atwood. As regular readers of this blog know, I’m a huge fan of Margaret Atwood’s stories in general. What appeals to me the most about Oryx and Crake is how much time she spent describing what the world would be like after all but a handful of humans died in a terrible pandemic. Some species flourished after mankind died off either because or in spite of all of the ways we bio-engineered them. Other species weren’t so capable of looking after themselves without a friendly human to feed them and keep them out of mischief. The buildings, trees, and land in general also changed in many ways as the Earth quieted down. 4. 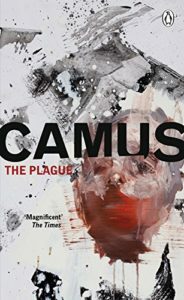 The Plague by Albert Camus. Don’t read The Plague if you’re easily grossed out by detailed descriptions of disease or what happens to a body after someone dies. The communicable disease that these characters come down with is a particularly nasty one, and there were never enough people around to take care of the ill or bury the dead. With that being said, there are a lot of poetic passages in this book once you get past the descriptions of what happened when the characters fell ill.
5. 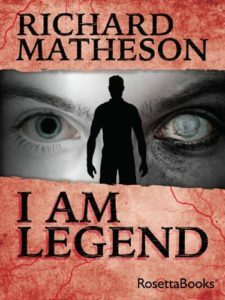 I Am Legend by Richard Matheson. Most post-apocalyptic novels assume that everyone who comes down with the disease that’s destroying humanity will die. This one describes a world in which infected people remain alive but are changed into something that is no longer human. By the time the first scene began, there is only one human left in the entire world. That’s all I can tell you about the plot without giving away spoilers, but I was fascinated by the idea of a virus that permanently and severely changes someone’s personality, habits, and ability to communicate rather than outright kills them. 6. 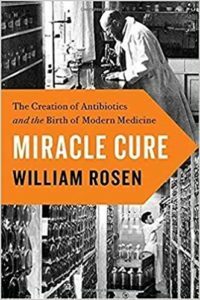 Miracle Cure: The Creation of Antibiotics and the Birth of Modern Medicine by William Rosen. Finally, we come to the idea of a cure. The introduction of antibiotics changed how modern medicine was practiced in so many positive ways. Surgery became much safer, and with the threat of infection greatly reduced we were eventually able to start performing risky procedures like organ transplants as well. Before I read this book, I had no idea how dangerous it used to be to give birth, have surgery, or even do something as ordinary as accidentally cutting yourself and then developing an infection in that wound. No one was too young or too healthy to avoid a terrible death if the wrong strain of bacteria entered their body during one of those events. I wonder if a similar drug will ever be invented that cures the common cold or the flu? My fingers are crossed that we’ll someday have such a thing. In the meantime, stay healthy this winter!